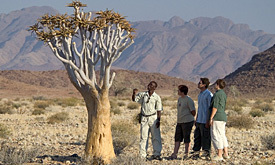 Located deep in the Kaokoland in north-western Namibia, Hoanib Valley Camp is surrounded by some of the most striking landscapes on the continent. 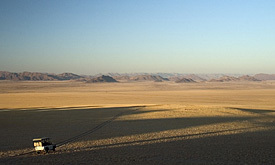 Jagged peaks rub shoulders with golden sand dunes, and vast expanses of desert are scattered with unique, desert-adapted wildlife and nomadic Himba settlements. The camp itself is situated in a sheltered valley against a backdrop of granite mountains with views down to the ephemeral Hoanib River. The design for the camp was inspired by the experience of the Hoanib: the rich ochre of the dunes, the ever-changing colours of the desert and the dramatic shadows of the mountains. The geometric patterns of the Himba people are represented in the weaved baskets scattered around the tents, and carvings of the desert-adapted giraffe spark conversation and interest in the critical research happening in the area. True to the ethos of Natural Selection, it was critical that as many pieces as possible were sourced locally or at least from Namibia. As a result, you’ll find heavy wooden dining tables carved by Rundu wood-workers on the side of the road outside Windhoek, baskets weaved by the Omba organisation, and delicate ‘Combretum-pod’ cushions sewn by local ladies. Taken from a range aptly named ‘Skeleton Coast’, the fabrics used represent the hazy fog that moves through the area from the cold Atlantic coast. Truly a subtle and sophisticated hideaway in the heart of the desert. 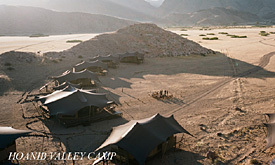 • 6 tents (5 twin, 1 family tent) with ensuite bathrooms & indoor showers. • Tented lounge, dining area, and outdoor fire-pit. 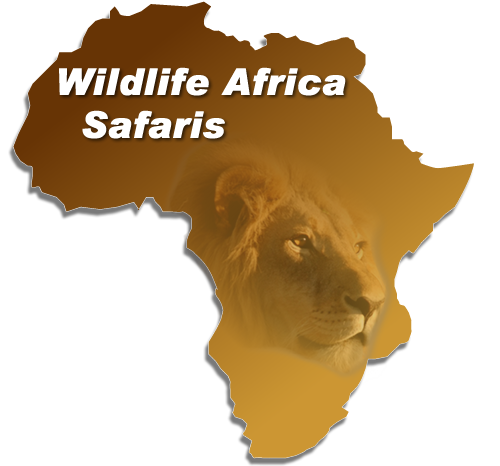 • Game drives, cultural experiences with the local communities, nature walks and contribute to the long-standing giraffe research. • Desert-adapted giraffe, lion, elephant and rhino. • Family-friendly – all ages welcome!